Designing for labor, delivery, and beyond. 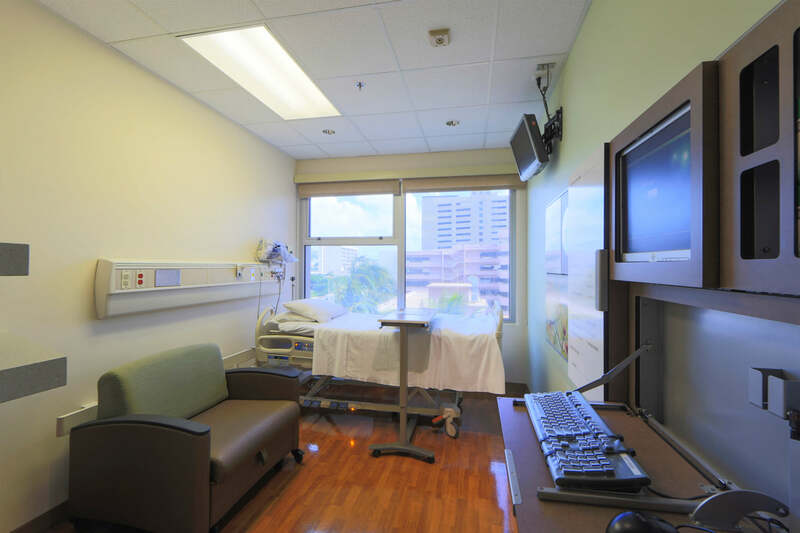 For the renovation of the Kapi‘olani Medical Center 4th Floor, AHL provided a serene, nurturing, fresh, and uplifting ambiance for all expected mothers residing within the complex. 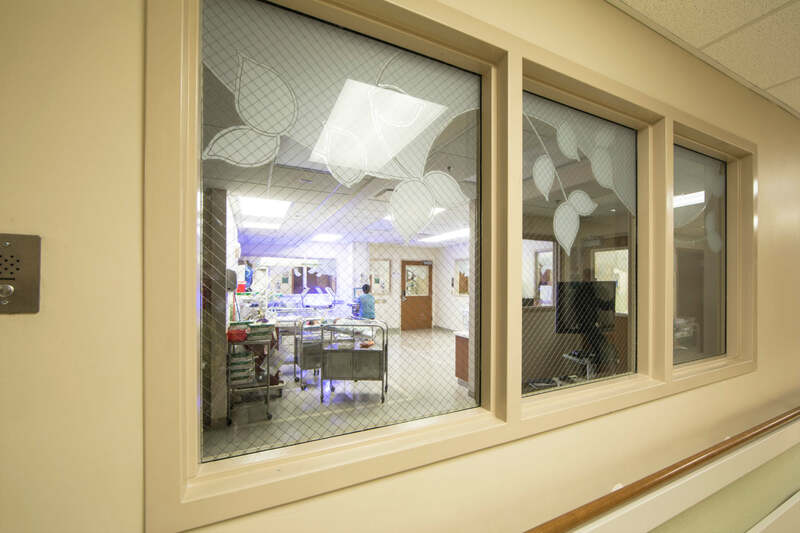 The challenge was to create a cohesive design while keeping the facility operational 24/7. This project spanned over 25 phases with two rooms and a portion of the corridor being constructed each month. 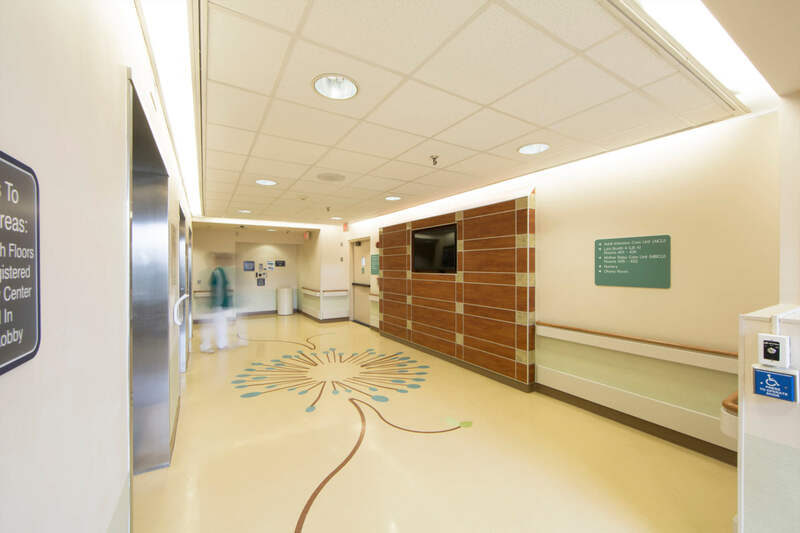 As one strolls through the corridors, a curving, linear decorative pattern of blossoms provides a pleasant experience and assists in the healing process. 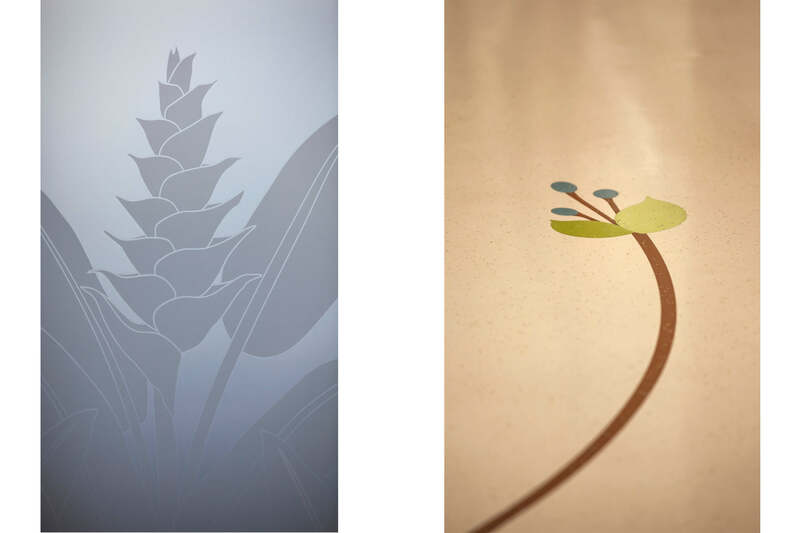 Withinthe patient rooms, a palette inspired by nature creates a comforting and home-like environment that assists with patient recovery and overall well-being.